Hello everyone. In this Online Thai lesson, we will learn vocabulary about the Thai public holiday, Labor Day / Labour Day. Labor Day recognizes and honours labour workers and their contributions to the country. 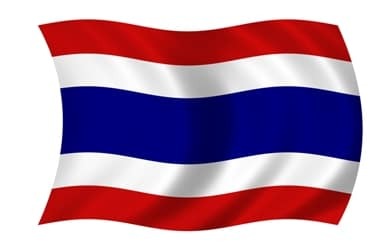 As labour workers are main engines that propel the national economy and drive growth, the government has appointed 1 May of every year to be the Thai National Labor Day. The Thai National Labor Day originated from the government ’s establishment of the Labor Administration in 1932. The Labor Administration aims to increase employment, control the working environment for workers and build strong and positive employer-employee relations. “ National Labor Day “( วันแรงงานแห่งชาติ/ wan rԑԑng-ngaan hԑ̀ԑng châat) is a Thai public holiday. 5. Activities / กิจกรรม / gìt-jà-gam. To celebrate the Labor Day in Bangkok Thai labourers ( ผู้ใช้แรงงาน/pûu chái rԑԑng-ngaan ) gather at Sà-nǎam Lǔang /สนามหลวง to join the festivities held by the government which include pop concerts, cultural shows, dances and a variety of fun activities and entertainment. Many workers spend a well-needed rest with friends and family.